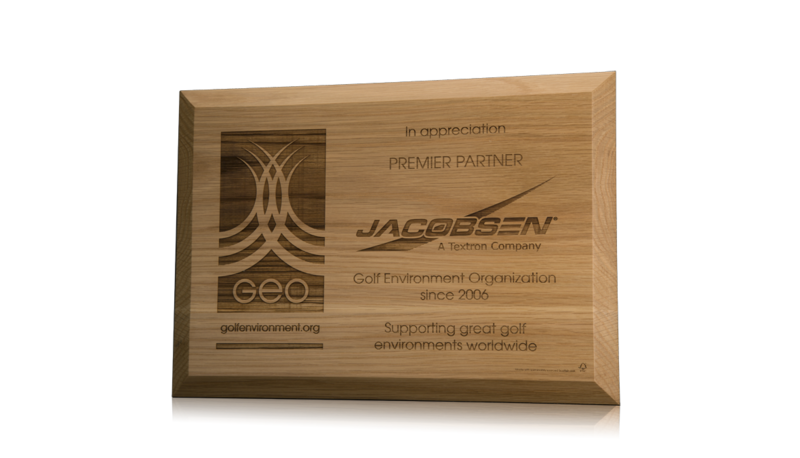 Presented as part of the Premium Partner scheme of the Golf Environment Organisation. These wooden wall plaques are sustainably sourced and created with FSC certified wood. Personalized detailing and the logo is laser engraved onto the plaque. These are a beautiful, natural, and fitting option for the Golf Environment Organisation.